Are you visiting Marrakech soon but is planning to experience a more traditional and more peaceful Moroccan trip? Congratulations! You came to the right website. We can help you have the best trip you’ll ever experience in Marrakech. It is undeniable that Marrakech is colorful, charming and exciting. But we also recommend that you visit Merzouga to experience a relaxing haven. And it will only take a one-day-ride from the crimson city! So we offer you a 3-day trip to the desert where you can explore both Marrakech and Merzouga. The tour will surely be fun, full of adventure and of course good food and beautiful sceneries. The 3-day trip will start at Marrakech. You have to wait for us to pick you up from your hotel or in Riad. We will then drive across the Tizi N’ Tichka Mountains – the highest mountains in North Africa. The drive will take approximately 2 hours. 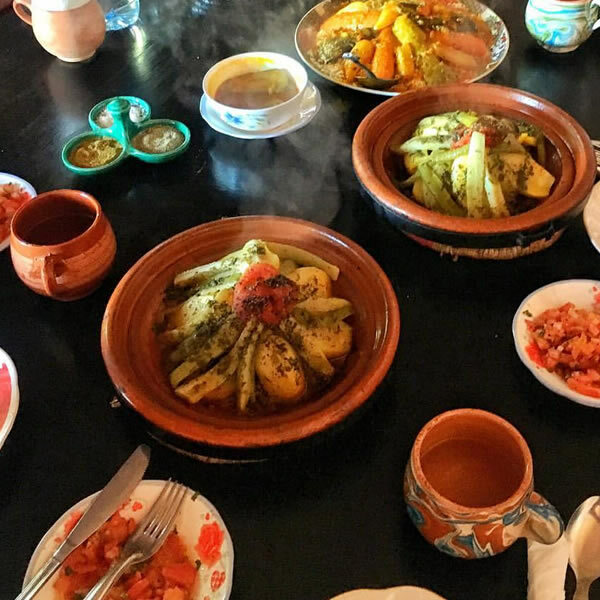 During the ride, we will stop to allow you to take some photos of beautiful sceneries and will enable you to fill your stomach with a delicious Moroccan breakfast. 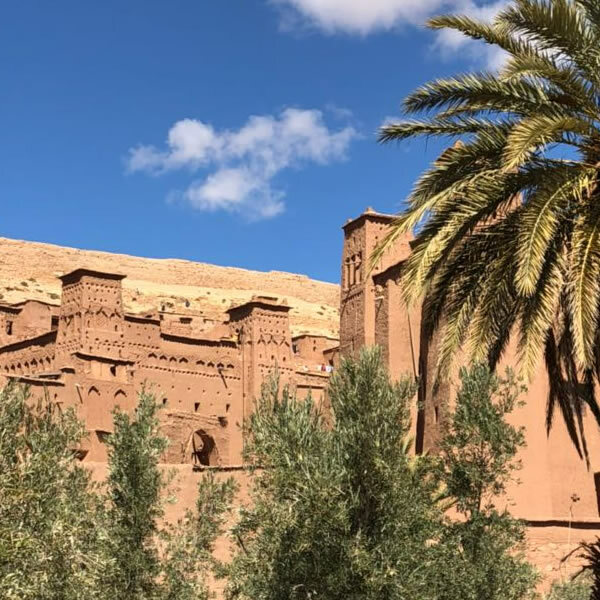 We will then continue our journey to Ouarzazate, which is also known as the Hollywood of Morroco because many movies were filmed there, including Brad Pitt’s movie entitled Babel. You will also be able to visit Ait Ben Hadduo Kasbah which is one of the old and fortified cities in Morroco and is also considered as a UNESCO World Heritage. After that, you will enjoy a satisfying meal in the city which will energize you for your cinematic experience in the Atlas Film Studios afterward. After having fun in the Atlas Film Studios, we will go back on the road and drive for a few hours before we can arrive in Skoura. Skoura is a small magical town that is embellished with Kasbahs wherever you look. We will then drop you in a hotel in Dades Valley where you can stay for the night and refresh yourselves for the trip the next day. We will start our morning with a good breakfast. After that, we will be back on the road to discover and enjoy the Todgha town and the Todgha Gorges. We will let you take some photos and admire the stunning landscape around you. We will then drive to Tinjdad which is one of the many small towns on the road. You will enjoy an enjoyable and fulfilling lunch there. While we are on the road to Merzouga, we will drive by Arfoud and Rissani. By early evening we will arrive at a hotel in Merzouga where you can relax by the swimming pool while sipping a sweet Morrocan mint tea. After that, camels will carry us for one and a half hour from the hotel to the Sahara dunes. Upon arriving at our tent, we will settle for a bit and enjoy Sahraoui mint tea together with the desert nomads. And what’s more beautiful than ending the day by watching the sunset over the desert dunes? The view will surely relax your mind after our tiring but incredible journey. We will then devour a delicious dinner together with the nomads who will play some excellent Morrocan music for you by the campfire. Your Sahara experience would not be complete without experiencing the sun rise. On the third day of the trip, you need to wake up early to witness the rising of the sun in the desert. It is a stunning view that everyone should not miss! After enjoying the sunrise, we will then take off to Merzouga. We will go straight to your hotel where you can shower and eat good breakfast. We will then go back to Marrakech where we are expected to arrive in the evening.